Natural facial care home remedies use organic ingredients like aloe gel, lemons, avocados, honey, yogurt, and vinegar that cost only pennies an application. 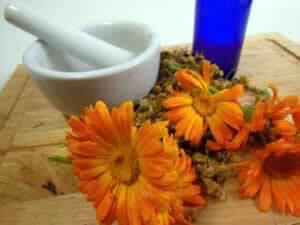 Herbs and oils combine to make natural facial cleansers, toners, rejuvenating facial masks and facial moisturizers. These "skin foods" work better and than overpriced, chemically based products and leave no toxic residue on your skin. Herbal oils like argan, rose oil and pomegranate are readily absorbed into the skin, helping to reduce the appearance of fine lines and wrinkles. Cellular regeneration is the key to a youthful skin, and the nutrients and proteins in these healing oils help maintain collagen and encourage the regeneration of new skin cells. 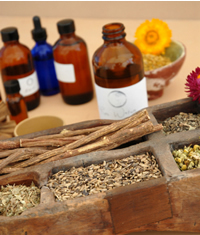 No synthetic, mass produced product can compare with natural botanicals. Nature's oils leave skin gleaming, glowing and truly healthy, with no toxic additives, chemicals, or synthetic perfumes. With so many herbs for skin care and natural herbal products to choose from you will be able to find the perfect combination appeals to your personal style and skin type.